Stunningly-maintained home lives like luxury! Backs to miles of tree-lined trails that connect to the Cherry Creek trail system. 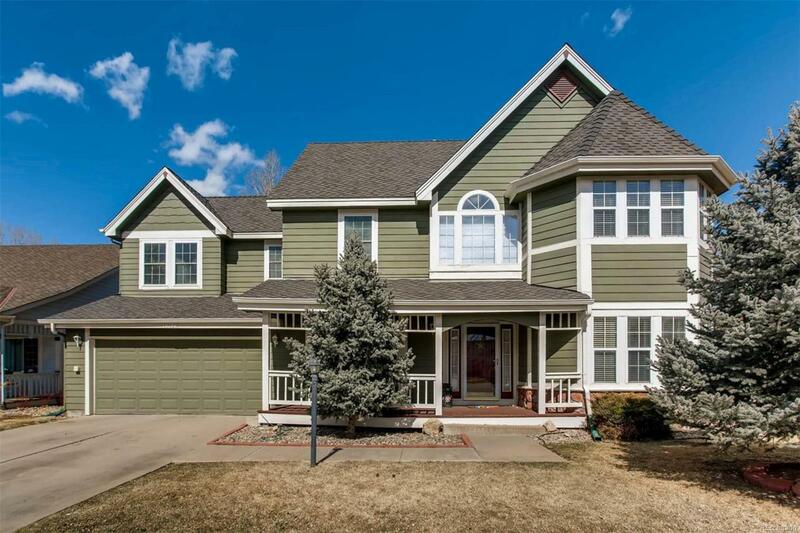 This beautiful 2-story has 3,426 finished sq. ft. in which to entertain, rest, and play. Extensive hardwood floors, sunny office space, and open kitchen. Two gas fireplaces: one in the living room for cozy relaxation. Another in the Master Bedroom invites breakfast in bed on snowy mornings. Master Suite includes a large 5-piece Master Bath, a private sitting room, and third closet. Convenient second floor laundry, two additional bedrooms, and Jack-n-Jill bathroom. Finished basement lives big including a bedroom and bathroom and three other rooms perfect for exercise, storage, and den/movie space. Live three seasons outside on the backyard deck and drink your morning coffee on the covered front porch. Front and back decks just refinished and have a 10-year warranty. A short walk to community clubhouse and pool. Welcome to the community you hoped to find. Offered by Dwell Denver Real Estate.